lay down first layer of pastry and smear on a healthy dose of curd, top with another layer of pastry and again, smear. top with final layer and top with powdered sugar. Sorry about your gpa. He sounds like a cool fella. Oh, and your napoleons look amazing. They are as beautiful as the ones you will see in France someday soon! thank you, bonnie, for your kind words! 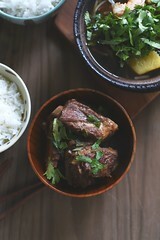 Such a gorgeous recipe. I love your write-up as well! So sorry about your gpa Lan, he sounds like a wonderful man. Beautiful dessert, love the citrus curd. Such a sweet tribute to your grandfather. He sounds like an amazing person…. and that tricycle he got you? So fun. I hope you get to go to France sometime, but meanwhile, you can dessert as if you are already there. My deepest sympathies. I know how much your grandfather meant to you. I had a green tea mille feuille recently that was amaaazing. There were 24 layers of the thinnest crepes. 24! Of course, I counted. I don’t think I’ve ever eaten a version as good as that. If you ever go to Paris, you must try Pierre Herme for macarons and kouign amann and caneles and croissants. I took my haul to a park nearby, intending to just take a bite and save the rest for later. I may have eaten almost everything because it was just that good. I literally gaped in awe at each bite, looking around and wondering why there wasn’t a line out the door. Forget the over-hyped Laduree, the green pastel boxes look nice, but the pastries were not mind-blowing. And if you go all the way to Paris, you want your pastry experience to be out of this world! thanks chi WC. i’m sorry we weren’t able to meet up this go-’round. i will definitely reach out to you for tips/pointers on where to go if we ever make it out to Paris! Lovely post. Condolences on your grandpapa. I love mille feuilles but never considered making it myself. I remember going to a French style market (here in New Zealand) and stumbling over the word. The seller corrected me with good humour and flourish and now when I say mille feuilles, I cannot help but say it with theatre and projection as he did. I have puff pastry in the freezer at all times and all the other ingredients listed too. It’s hard to imagine that it’s been years since I had mille feuilles but I have all the ingredients at hand. The one thing I don’t have is coconut oil. Could butter be substituted for coconut oil? I have never had mille feuilles before, let alone the dairy free one. This dessert hits every note on my sweet list; I need to plan my menu for this one. Love your beautiful writing, Lan. So sorry to hear about your loss. Probably you’ve heard it a lot, but it does get easier with time. 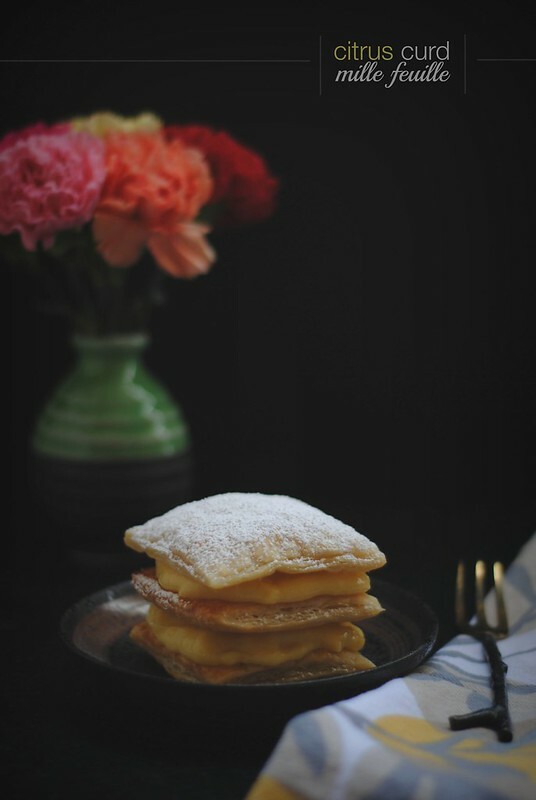 This post is so beautiful as is the mille feuille!